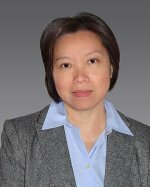 Dr. L. Ruby Leung, Laboratory Fellow and atmospheric scientist at Pacific Northwest National Laboratory, has been selected for two advisory positions in the climate modeling community. She is now serving on the National Center for Atmospheric Research (NCAR) Mesoscale and Microscale Meteorology Laboratory advisory panel. Leung's expertise in multi-scale and regional climate modeling will be invaluable as the panel provides advice to the MMM director on future directions for their science and community models. Leung is also now a member of the Steering Committee of the World Climate Research Programme's High Resolution Model Intercomparison Project, the HighResMIP. The goal of this committee is to assess the robustness of improvements in the representation of important climate processes with "weather-resolving" global model resolution, about 25 kilometers. Climate modeling researchers are working to improve realistic simulation of small-scale climate phenomena, such as cyclones and climate extremes, which have a large impact on populations and a regional environment. The HighResMIP coordinates efforts in the high-resolution modeling community and the overall improvements in model performance. An internationally recognized leader in climate modeling, Leung's research guides national policy-makers on decisions related to water, agriculture, energy, public health and national security. Her leadership of key workshops and panels sponsored by environmental agencies help define future priorities in climate modeling and hydroclimate research. She is a leader in the modeling community working to develop regional climate models used by a world-wide research community. Leung is a Fellow in the American Geophysical Union, American Meteorological Society, the American Association for the Advancement of Science and a member of the Washington State Academy of Sciences. Her research crosses scientific disciplines to advance the state-of-the art in predicting climate change and its regional impacts. Leung has published over 175 peer-reviewed papers.